Marianne Lefever is an architect with over 10 years of experience in climate mitigation and sustainable city design. 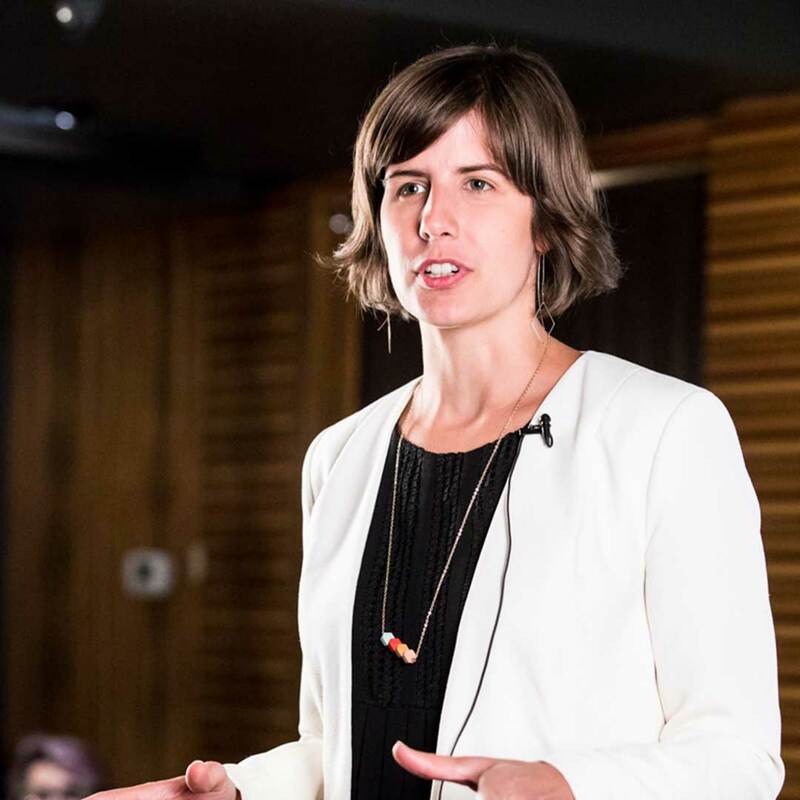 After an exciting career as a structural engineer, renewable energy consultant, innovation consultant, and futurist, she returned to her first love of sustainable city design. As a managing partner at Healthy City, she is currently transforming cities around the globe into healthy environments and communities. The company uses data analytics to understand how a certain location is impacting our well-being and how we can improve it. After living all over the globe, she landed in Toronto. How can I create a healthy and happy place for my daughter to grow up in? How can we leverage existing communities and infrastructure to create such a place at a minimal cost? What role can city data, smart cities and emerging technologies play in our aim for healthy cities? If chronic illness like diabetes, heart disease, or mental illness keep rising, then what are we missing? Why are our efforts of awareness and prevention not working? Our personal wellbeing is a complex interaction between body, behavior and social context, and our environment. The smartest way to improve our wellbeing is by building a healthy environment. A healthy city or a healthy suburb should enable and support healthy behavior. If there are no sidewalks in my neighborhood, how will I get the easy and cheap daily exercise that I need? Let’s take a look at how we can build such a healthy city together. Will We Have the Courage to Innovate? Humans are capable of unreasonable innovation, so what’s slowing us down? We know that massive change is required to create sustainability in a world of challenged resources and systems. However, what we like to call “innovation” is often just a different version of what we have always done. A better word for this is “incrementalism”. Where incrementalism changes the symptoms of an issue, unreasonable innovation gets to the core. But how can we think differently and adopt that unreasonable innovation?